It’s not a large country, Scotland, but as well as packing some stunning scenery it has an especially proud heritage in engineering – and that translates into motor sport. There may only be one home race circuit left – the demanding Knockhill – but Scots drivers have made an international impact. Fifty years ago that sublime talent Jim Clark achieved his second Formula 1 World Championship in a phenomenal season that included winning the 1965 Indy 500. You can admire that victorious machine, along with two more Clark F1 Lotuses, when Holyroodhouse welcomes the Concours of Elegance. 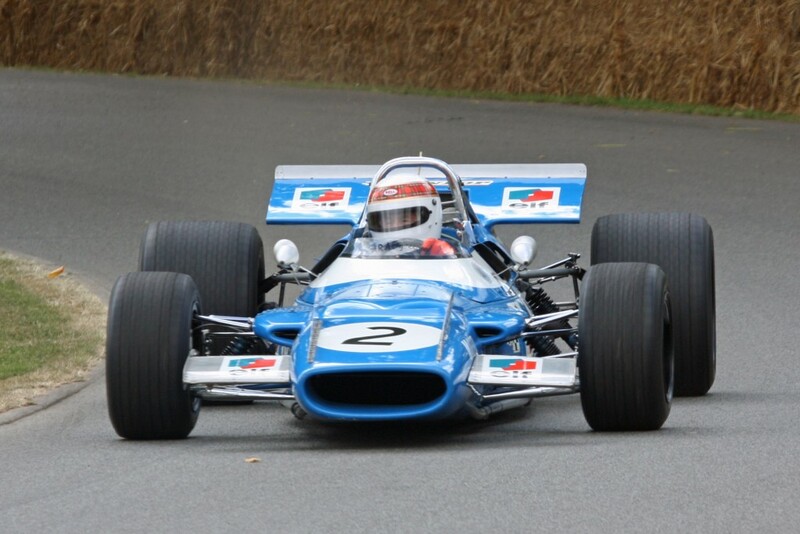 More recently the Scottish flag flew three times over Indianapolis when Scots-Italian Dario Franchitti headed the American classic, while in his trademark tartan-banded helmet that superb pilot Jackie Stewart very nearly added the 1966 Indy to a magnificent career encompassing a trio of F1 World Championships (see all three winning cars at the Concours). Later to run his own Grand Prix team, JYS was knighted after campaigning relentlessly for racing safety. From the BBC’s Grand Prix coverage you’ll be familiar with the wry humour of David Coulthard, commentating with the authority of a 13-time F1 winner for Williams and McLaren, while fellow pundit Allan McNish also raced in Formula 1 but found most success in sports cars as a three-time winner of the gruelling Le Mans 24 Hours and as 2013 World Endurance Champion with Audi. Another Le Mans victor is on display too – the menacing Jaguar XJR-9 that took Scottish peer Johnny Dumfries (another F1 driver) to Le Mans victory, masterminded by compatriot team owner Tom Walkinshaw. Yet another proud Scot, Colin McRae, brought World Rally Champion honours north of the border, while rumbustious Grand Prix winner Innes Ireland features in an impressive Ecurie Ecosse display celebrating the Le Mans-beating achievements of Scotland’s unofficial ‘home team’, still racing today to add to a national record that surely punches above its weight.